I scream, you scream, we all scream for ice cream… and who doesn’t love mochi ice cream? For those who are looking to reduce or eliminate dairy, are allergic or lactose-intolerant – don’t despair! Non-dairy and vegan mochi ice cream is no unicorn; it does exist thanks to My/Mo Mochi Ice Cream. Permission to pinch yourself. My/Mo Mochi Ice Cream offers four fabulous flavors of non-dairy and vegan cashew cream frozen desserts. Why cashew cream? Because it has a silky smooth, luscious, rich texture and it eats just like dairy ice cream. And let’s not forget those pillowy balls of creamy mochi dough. Can we get a hallelujah? The best part? This insanely delicious creation – a precious nugget of vegan ice cream wrapped in a sweet, pillowy rice dough – is only 90-100 calories per serving and completely gluten-free. 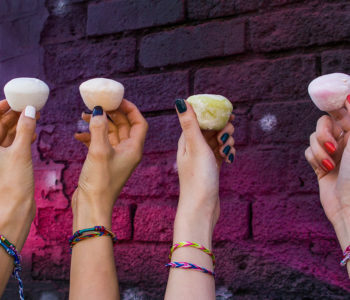 Non-dairy and vegan mochi ice cream lovers everywhere, rejoice! Here’s a math problem: what is the sum of premium ice cream and pillowy, soft and sticky rice dough? Hint: it’s gluten free mochi ice cream — a deliciously doughy, satisfying ice creamy snack — that dreams are made of. Also popping up in grocery stores near you: My/Mo Mochi Cashew Cream Frozen Dessert! They’re non-dairy and vegan. Goodbye dairy, hello cashew cream. These 90-100 calorie balls of goodness offer the same undeniable creaminess and amazing taste that you’ll find in regular ice cream. Flavors of My/Mo Mochi Cashew Cream Frozen Dessert include Strawberry, Salted Caramel, Chocolate and Vanilla. 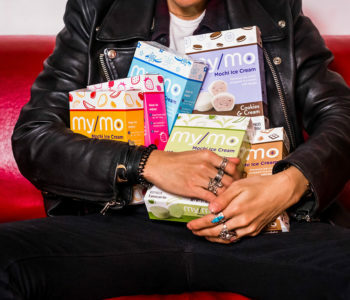 These non-dairy, vegan frozen snacks are also gluten free mochi. Hallelujah! Too good to be true? 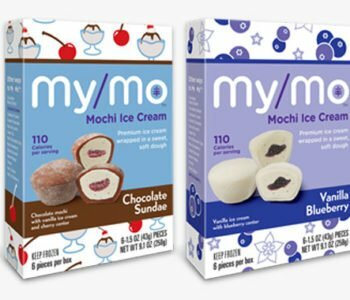 Check out the My/Mo Mochi Ice Cream store locator to find the nearest grocery stores that sell these delectable and delicious gluten free mochi snacks. It’ll blow your mouth’s mind. 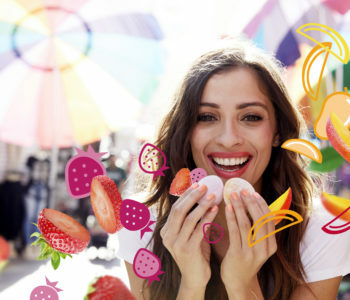 The need for high-quality foods has never been higher among savvy snackers. And there’s never been a better time to snack than now. Luckily My/Mo’s got all the best mochi ingredients. My/Mo Mochi Ice Cream offers perfectly portable and poppable premium ice cream wrapped in sweet, soft and sticky rice dough. Perfectly portion controlled – these handheld snacks are made with quality mochi ingredients and only 110 calories per mochi ball. 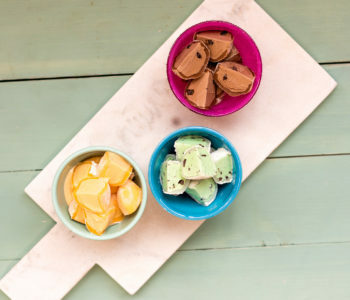 My/Mo Mochi Ice Cream offers mesmerizing flavors such as Sweet Mango, Green Tea, Ripe Strawberry, Cookies & Cream, Mint Chocolate Chip, Salted Caramel, Vanilla Bean and Double Chocolate. Delish! 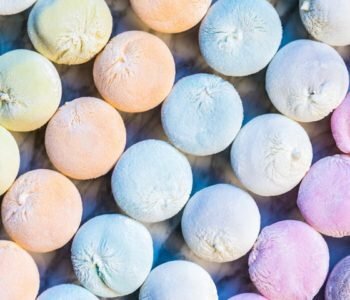 Vegan, lactose intolerant or just looking for plant-based mochi ingredients? 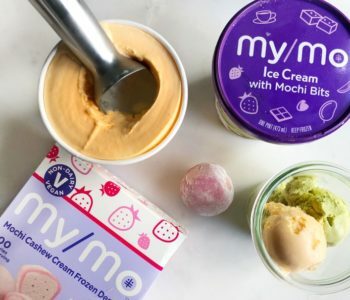 Don’t worry – My/Mo’s got the hookup with My/Mo Mochi Cashew Cream Frozen Dessert! It’s made with cashew cream instead of coconut or almond milk. It’s also gluten-free, which means it’s just as creamy and lacking any of that glutinous wheat flour. Say whaaat? Don’t know what mochi ice is? Mochi is a traditional Japanese dough that is used in a wide variety of dishes; not just for dessert. From ice cream to soups, this gooey dough can be used to satisfy just about any craving. Want to make a traditional Japanese dish? Check out our previous blog post here. Happy snacking!